Inchtavannach and Bandry Bay – the stories. On returning from my island cruise on the Lomond Lass, I went in search of the statue of a boy situated offshore in the water of Loch Lomond. The bus driver, whom I meet on my trips to Luss, knew where it was and dropped me off, breaking my homeward journey. He showed me exactly where the statue stood, but did not know how to get near it. I walked back a little ways to the bay pictured above – Alduchlay – thinking I would find a path along the shore line. 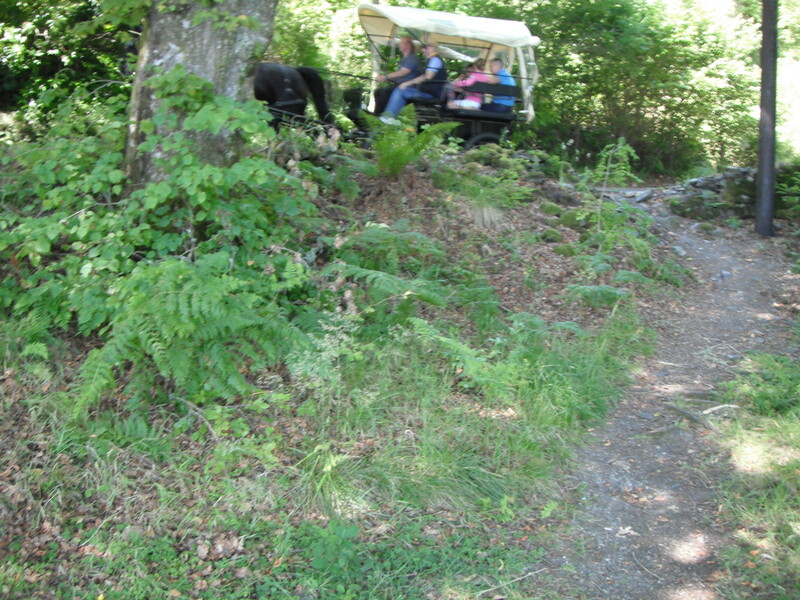 I did not, since access to the water ended at the spot pictured, giving way to private property. After walking along the road, bordered by a stone wall and dense woodland sporting signs of ‘DANGER. DEEP WATER’, I came to a place where the wall had been breached and a path led straight to the target area, another little cove called Bandry Bay. At the far left of the photo above, you can just see the figure in the water. The following video has no sound track simply because there was no sound. The place was totally silent. Without a boat or a good telescopic lens, I was unable to get close enough to the statue to get a good image. 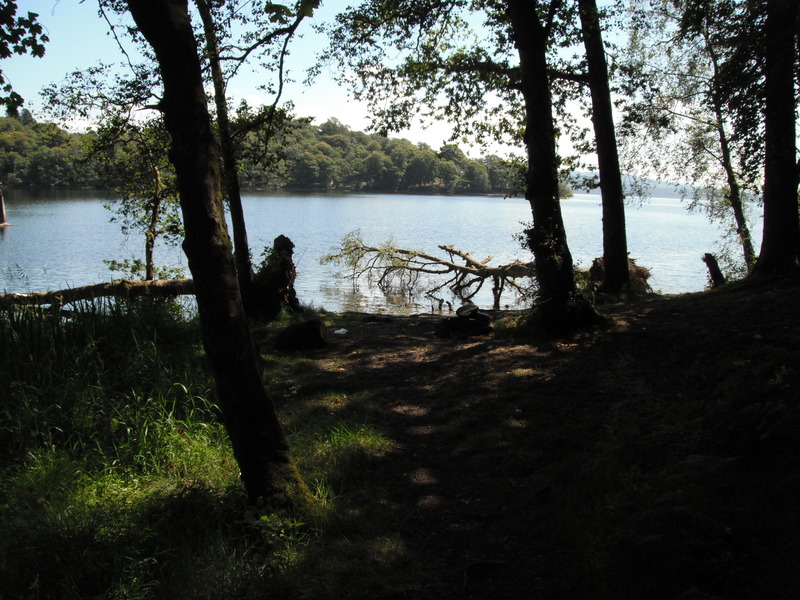 This one I borrowed, from ‘Explore Loch Lomond’, where I also found facts included in the story below. I will provide a link to that site at the end of the article. So, whom does this statue represent? No one called Peter, as far as is known. The ‘Wee Peter’ title was conferred in recent times for reasons unknown. Most people think it is a memorial to a boy who drowned here. In fact, no such sad story is the case. The statue was made by William Kerr for a house in London he had been commissioned to build. 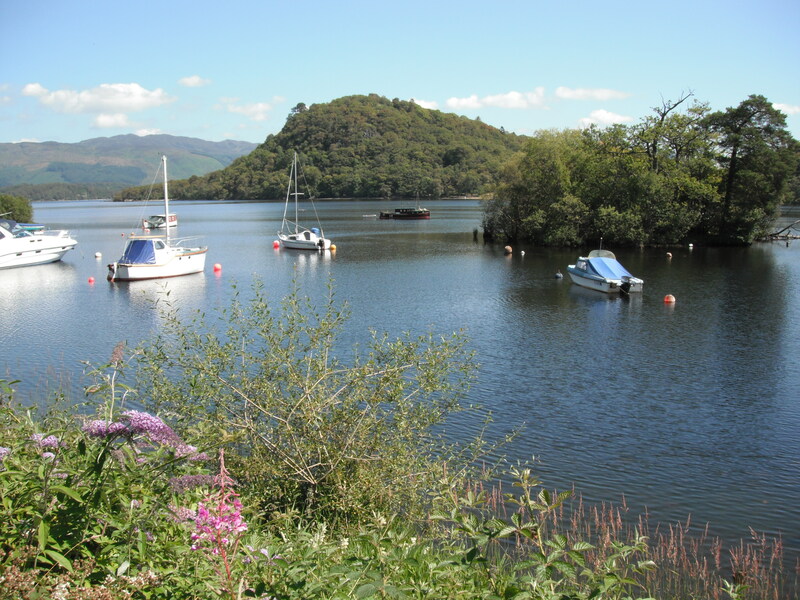 While he worked successfully in London during the 1870s and 80s, his childhood was spent in Luss. When the statue was found to be ‘surplus to requirements’, Kerr brought it to the place where he had spent many happy hours as a child. Few people, if any, expected it to remain standing for long and it became known as ‘Kerr’s Folly’. Erected in 1890, it stands firm today, 121 years later, proving it wasn’t in the least ill advised and is a testament to Kerr’s skill as a builder. I looked around, imagining a young boy playing happily in the water and in the surrounding woods. As I stood there, lost in my imaginings, I heard the sound of a horses hooves, trotting, it sounded like. 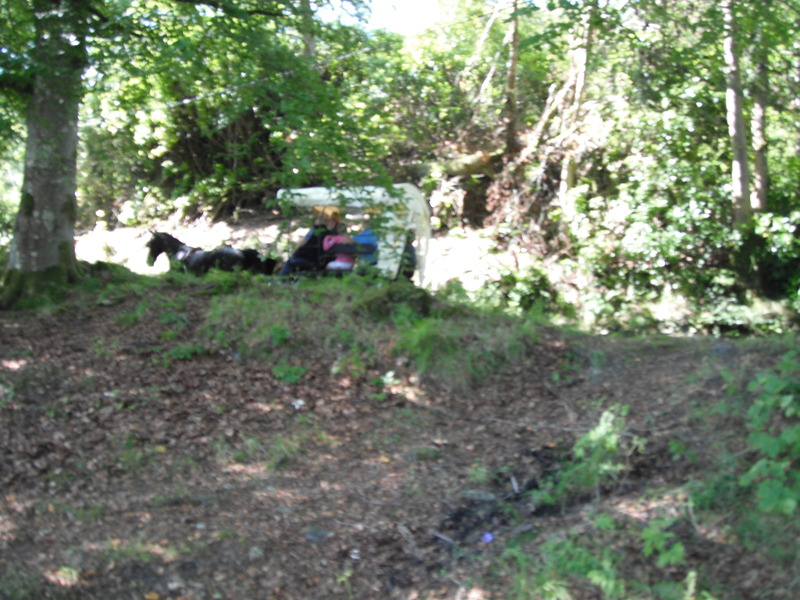 When a horse and cart came into view on the road above, it was a surreal moment. In spite of the origins of the statue being a happy tale, there is a definite air of melancholy here, perhaps leading to the belief in the drowned child. One has to look much further back in history to find a possible reason for this. The island bordering Bandry Bay is Inchtavannach, sometimes referred to as ‘Monk’s Island’. Here, in the 6th century, St Kessog founded a monastery, the bell of which could be heard for great distances around the loch and became a feature of the times. The sainted Kessog was murdered at Bandry in 520 A.D. by hired assassins. The identity of the person who gave the order has never been found. Some think the Druids were the most likely culprits. I will provide a link to a wonderfully informative history of the life and times of St. Kessog. For me,the following video has a forlorn feel. The fallen trees lack the charm such things usually have and instead, coupled with the mud in the water, they seemed to emanate an air of decrepitude. No doubt it was siesta time for the birds in the area, but the total lack of life sounds, added to this feeling of abandonment. Or perhaps I have an over-active imagination. St. Kessog This effigy found inside a cairn that was dismantled by soldiers building the nearby road, was thought to be a depiction of St. Kessog, but some historians think it was hidden much later, during the Reformation. It is now housed in Luss Church. For source of ‘Wee Peter’ story click on link below. Note: There are other versions of the origins of ‘Wee Peter’, but the version I’ve chosen is the most plausible. Welcome to the updated http://www.lochsplus.com site and the improved ‘Finding Wee Peter’ page. Thank you for your comment. Glad you enjoyed your virtual visit.